Yoga Nidra Teacher Training (YNTT) is a systematically designed program to ensure a holistic approach of practice, application & teaching principles of Satyananda Yoga Nidra TM. 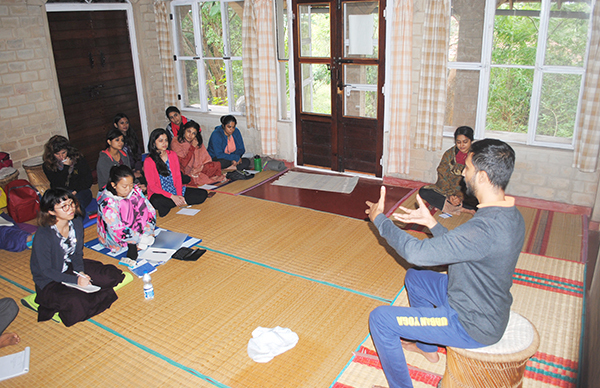 It brings together collective knowledge and experience of teachers from the Bihar School of Yoga lineage. 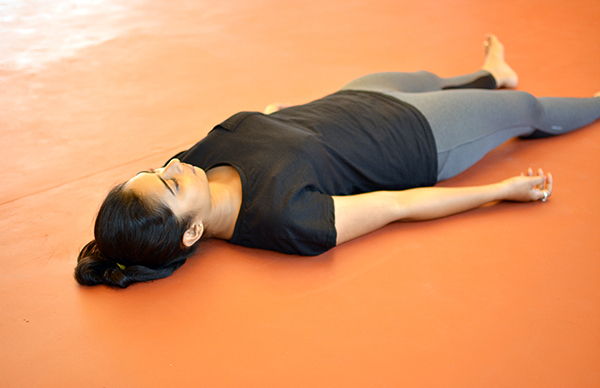 This course trains yoga teachers and other practitioners to guide yoga nidra with confidence & safety in class settings, personal sessions, and application across groups of varying needs. 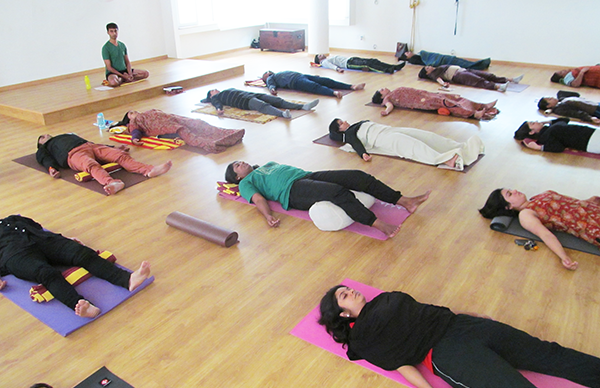 It covers the nuances, science & psychology behind Yoga Nidra, while diving deeper into self-practice & Sankalpa. This module introduces students to the 8-stages of Satyananda Yoga NidraTM. It covers all aspects of the practice and other topics under Eastern Anatomy, Yoga Psychology, Western Psychology & more. It also encourages reflection on Sankalpa, learning seated Pratyahara practices & visualisation techniques. This module is about exploring various themes of 8-stage Yoga Nidra and learning how to teach different groups while addressing their needs. This would help build creativity & empathy to work with practitioners of varying backgrounds. This module is about understanding the principles and methodology behind teaching Yoga Nidra, Counselling, Workshops, Recordings, & more. It also provides hands-on experience of teaching centred around feedback & growth. NOTE : Aim is keep the course accessible while maintaining integrity with student readiness. 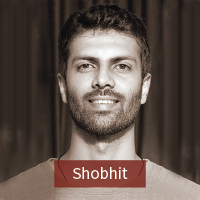 Shobhit will meet each student individually before the course to evaluate need, readiness and next steps.